Why the SQL Server is running slow ? 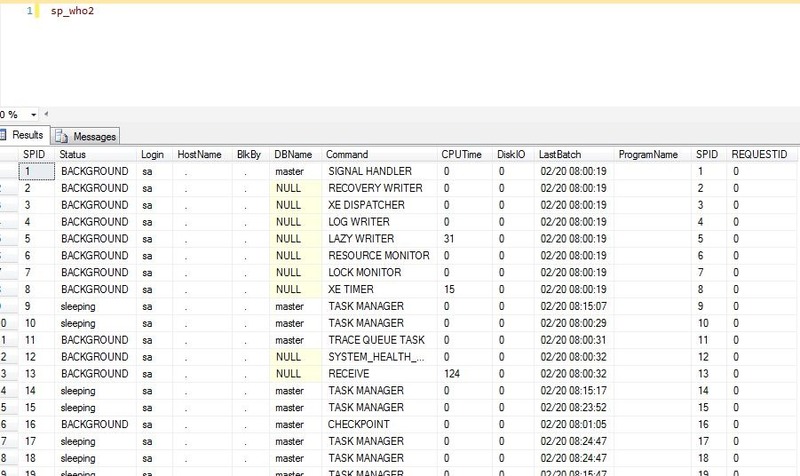 What are the processes running currently on SQL SERVER instance ? Many other like the above which might help us to understand our current SQL Server instance health can be answered by a simple command “sp_who2”. “sp_Who2” is an Undocumented command. You can utilize this command to check current status of your SQL SERVER. We can run this stored procedure directly in Management studio. if you see above snap you will find the sp_who2 providing login detail, database name, command action which is currently applied , CPU time, DiskIO etc. You can easily find which spId consuming highest CPU,DISKIO etc. I hope this stored procedure might help you.